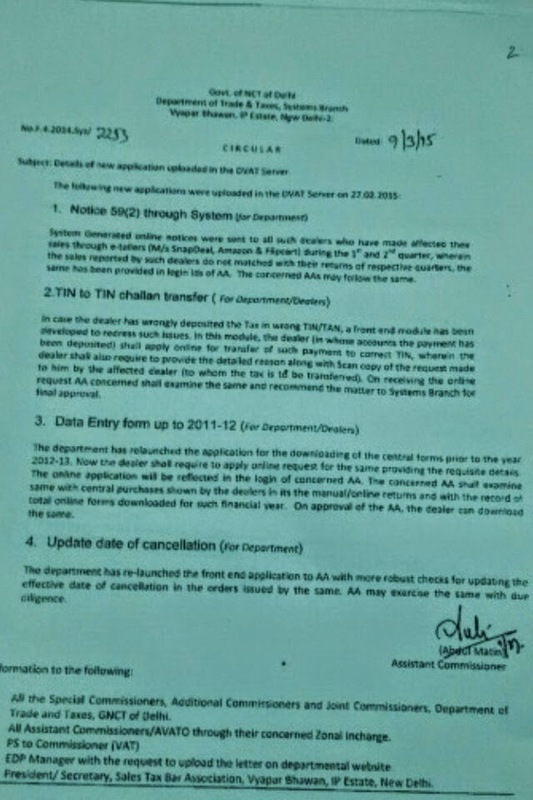 Dealer in whose account payment wrongly deposited to apply online for correction & submit reason & request by affected dealer to him. 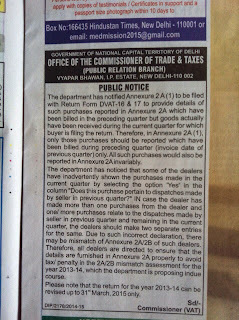 DVAT Circular of 9-3-15. Budget 2015-16 provides a small one-time window of opportunity to indirect tax offenders to pay a smaller than legally prescribed penalty, as part of the government's plan to bring down litigations and settle outstanding cases. The provision allows offenders to pay 15% of penalty if they pay tax due within 30 days of the finance bill coming into effect after it receives presidential assent. "This will help bring down litigation," said a government official. The measure will not just help reduce the number of ongoing court cases but also help the government collect requisite taxes. At the end of 2013-14, `. 92,800 crore was locked up in indirect tax litigation, a third of which was less than two years old and had a good chance of being settled. The finance bill includes a provision to offer an opportunity to tax offenders who were issued show cause notices in the past to come forward and pay a reduced penalty. 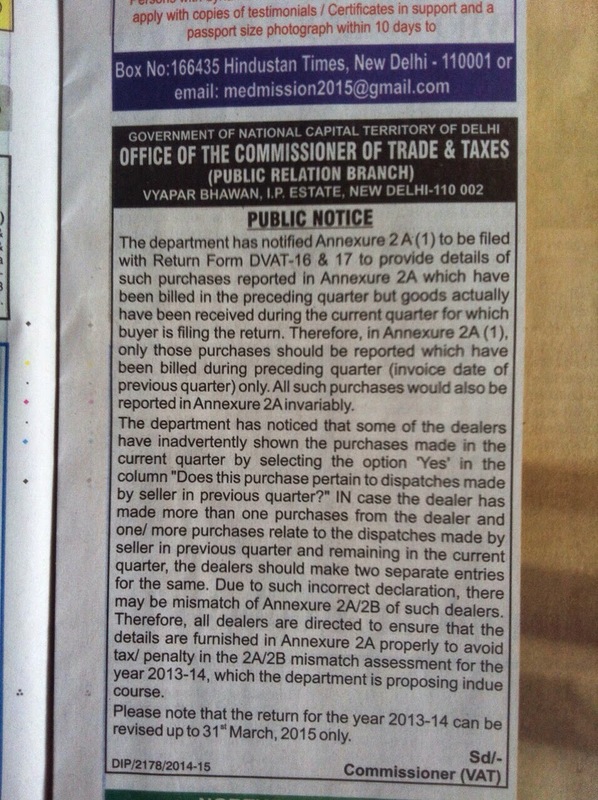 However, this relief will apply only if the notice has not been ad judicated so far. The government has provided for this in the coming years as well. For future cases, offenders will have the opportunity to pay up reduced penalty within 30 days of issuance of show cause notice or pursue litigation. Industry has represented against the stringent penal provision that was introduced in the last budget. 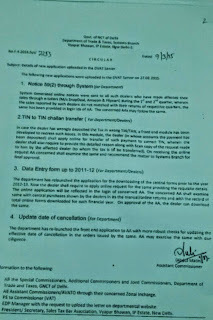 "No penalty shall be levied and the proceedings in respect of such person or other persons to whom the said notice is served under clause (a) of sub-section (1) shall be deemed to be conclude d...is made in full within thirty days from the date on which such assent is received," the clause 80 of the finance bill says. Tax experts say this will help bring down disputes. 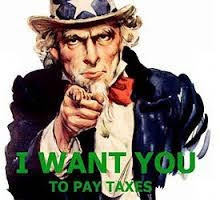 "The government has now given an incentive to the taxpayers to pay up their disputed taxes and interest in the early stage of dispute. This will allow the government to collect arrears of revenue in a more efficient manner and also the taxpayer to have a lower burden of interest and penalty, and yet be eligible to appeal," said Bipin Sapra, partner, EY. The Narendra Modi government has promised a non-adversarial tax regime and taken a number steps in this direction as it looks to turn around the overall business sentiment. Prime Minister Narendra Modi in January this year launched a small deposit scheme for the girl child, as part of the &ampamp#039Beti Bachao Beti Padhao&ampamp#039 campaign. This scheme is specially designed for girls higher education or marriage needs. Investments under Sukanya Samriddhi give you tax benefit under Section 80C of the Income Tax Act. For latest updates, log on to www.ndtv.com. Follow us on twitter.com/ndtv, join us on facebook.com/ndtv, connect with us at linkedin.com/company/ndtv or pin us at pinterest.com/ndtv.On your mobile, log on to m.ndtv.com or download our apps ndtv.com/apps.